Fuel Saver Pro can be used on any automobile without requiring any fancy installments. The saver is designed to create a stable electrical environment in your car. This stabilized environment regulates the electric current which allows your engine to produce an even spark. The device is perfect for saving fuel and increasing engine life. 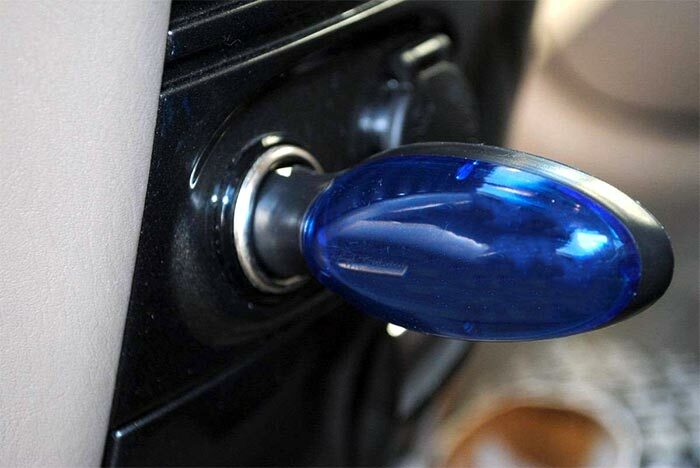 The Fuel Saver is plugged into the cigarette receptacle in your car. Any vehicle with this receptacle can benefit from the Saver. Question: Can all kinds of engines use the fuel saver? Solution: Yes. Fuel Saver Pro can be used for different types of engines as long as the vehicle has a cigarette receptacle to plug it in. All engines can benefit from the Saver and experience better combustion, longer engine life, and a quick starting engine. This is because the saver creates an even electrical environment in your car’s system. Question: Is the rate of exhaust gases changed? Solution: Because the Saver helps your engine run smoother, combustion improves greatly. This, in turn, results in lower pollutant and toxic emission and promotes cleaner emissions instead. Question: How often should the Saver be changed? Solution: There is no need to change the Fuel Saver. It will continue to function as long as your engine is running. As long as it remains plugged into your cigarette receptacle, it will continue to reduce emissions and improve fuel usage. You may also remove the Saver and transfer it to another vehicle if a need arises. Question: How about my vehicles manufacturer’s warranty? Will it be voided because of the Fuel Saver? Solution: No. The Fuel Saver is called an ‘intrinsic’ device which means that there is no part of your vehicle that is tampered with, removed or replaced during installation. The Fuel Saver is simply plugged into your vehicle's cigarette receptacle. This does not in any way void your manufacturer’s warranty. Solution: Upon installation, the Fuel Saver will immediately start to stabilize the electrical circuit in your engine. You will be able to continue driving normally without experiencing any power changes or interruptions. As you drive, your engine will slowly become more efficient and your mileage will increase. As you continue driving, the electrical environment in your vehicle will slowly stabilize. When all the factors that cause fluctuations in your circuit have been removed, your engine will function at its best. The amount of time it will take for your engine to reach this stage will depend on many factors including the maintenance of your engine, age, and mileage. The Fuel Saver Plugin is the easiest and safest way to start saving money on fuel. Question: What is the principle behind the Fuel Saver Plugin? Solution: The fuel saver works by stabilizing the electrical environment in your car. It acts as an internal electrical current regulator and removes any factors that may cause fluctuations in your circuit. With a smoother electrical flow, your engine runs smoother and is able to produce an even spark. The result is better combustion, cleaner emission, and lower fuel cost. Question: Will the fuel saver be able to resist high engine temperature? Solution: Yes. Since the Fuel Saver is not attached to any part of your engine and is safely plugged into your cigarette receptacle, it is not affected by high engine temperature.